It has been several months since I have posted my random thoughts. I guess you can say that these posts have been infrequently random. So, the IRS has conveniently lost two years of email that could possibly shed incriminating light in reference to their targeting of conservative groups. It has also been revealed this week that the EPA has also lost emails. The NSA also claims to have lost key evidence in reference to its gathering of telephone records, and the FBI can't seem to find anything. Why is it that government organizations that demonstrate incompetence have three-letter acronyms? 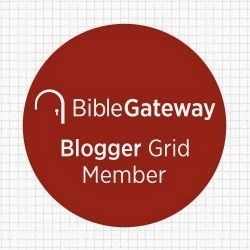 Peter Enns is posting a series of interviews with biblical scholars on his blog. He interviews my friend and colleague, John Byron, here. This past Thursday was National Forgiveness Day. Actually, for the followers of Jesus every day should be a day of forgiveness. Every day we need to be reminded of how much we have been forgiven and how we must forgive in return. Jesus set the example on the cross when he asked his Heavenly Father to forgive those who crucified him (Luke 23:34). The question I like to ask folks when we are on this topic is "Is it easier to forgive or to ask forgiveness?" I am not sure there is one over-arching answer considering the severity of the offense perpetrated or received, but it is interesting to ponder. Having said that, whether or not we actually forgive someone is not just something to ponder theoretically, it is something we must do. To fail to forgive others for wronging us is to harbor the kind of resentment that will control our lives and eat us up inside. To forgive is to be free. I am not saying that it is easy to forgive. There are some behaviors perpetrated that are so egregious that it may take years to get to the place of forgiveness. Nevertheless, forgiveness is the necessary goal so we can live in the victory of Christ's resurrection. I am currently reading Bonhoeffer the Assassin. The three authors argue that contrary to popular opinion, Dietrich Bonhoeffer did not involve himself in a plot to assassinate Adolf Hitler. Here's a quote from the book I read this week: "Though Bonhoeffer's life was full of twists and turns, it presents a sense of destiny. His life did not simply end with his death. His life brought him to his death." The quote made me think of the Apostle Paul's comment to the Romans, "If we live, we live to the Lord, and if we die, we die to the Lord; so then, whether we live or whether we die, we are the Lord's" (14:8). I hope I am living my life for Jesus in such a way that it has a sense of destiny-- God's destiny for me-- that even my death will not simply be the end, but that my life as a disciple will bring me to my death. If that becomes true, then my life will have been well lived. 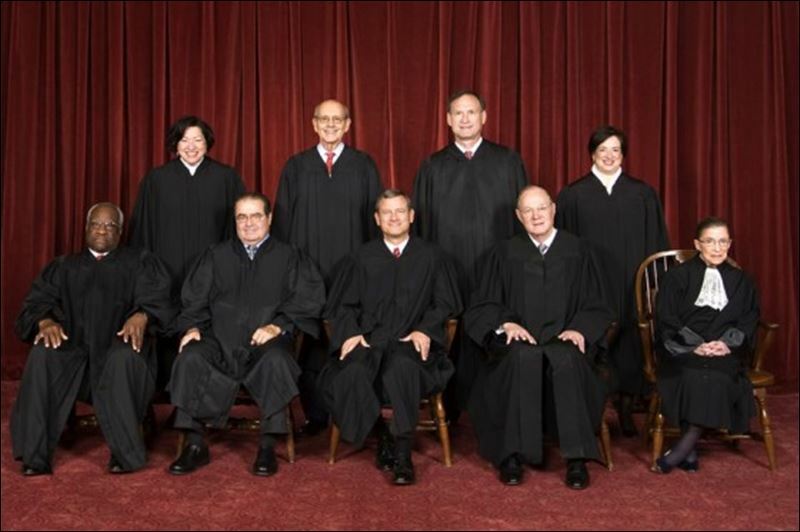 The Supreme Court of the United States has ruled 9-0 against the Obama Administration in reference to recess appointments (you can read the full story here). What's interesting to note is that this is the thirteenth unanimous loss in the courts that the Obama Administration has suffered in two years. Of course, presidents from both parties have not liked constitutional limits on their powers. George W. Bush had his own fanciful interpretations of the U.S. Constitution; but what makes the Obama Administration's Constitution twisting even more disconcerting is that he is supposed to be a constitutional scholar who taught the subject at Harvard. Something is wrong when the president can't even get the more philosophically liberal justices on the courts to vote with him. As one commentator noted, "If the government can't get even one of the liberal justices to agree with it on any of these unrelated cases, it should realize there's something seriously wrong with its constitutional vision.."
As much as the American people dislike dysfunctional government (and there is no doubt that government is currently quite dysfunctional) the framers of the Constitution were rightfully concerned about power being held in the hands of a few or just one person, and they intentionally put in place an intrinsic tension between the branches of government that is called the separation of powers. It certainly must be frustrating for a president to have his policy goals frustrated by Congress who, like the POTUS, often resorts to shenanigans themselves in order to get their way too; but as liberal justice, Stephen Breyer noted, the framers intended that the branches of government work out their differences along the way, not by-pass one another. It seems to me that the presidencies of Barack Obama and George W. Bush have one thing in common-- both have sought in their own way to be imperial presidents-- Bush in reference to foreign policy who envisioned himself as the one who would bring salvation by democracy to the world, even if it involved going to war, and Obama in reference to domestic policy as one who is going to save the American people by putting his agenda in place even though it means rejecting the checks and balances of government and going around the law. As the president has said publicly, "I will not take no for an answer." Both men as president have demonstrated an alarming sense of excessive pride and self-confidence, often referred to as "hubris." Frankly, I could care less whether the next president is a Democrat or a Republican. What I really want in the next president is some humility. That's my nation state political commentary for the day. It's summertime, which is also vacation time for many people. If you are planning a trip to New York City make sure you don't do these things. Dawn Harrell has written a post entitled, "11 Reasons Wonder Woman Is a Good Role Model for Christian Girls." Hmm.... I'm not sure what to think of this. Are they any of my female readers who care to offer their reflections? "Why Have Female Hurricanes Killed More People Than Male Ones?" But since I'm a egalitarian-- "Every American Killed by Lightning So Far in 2014 Has Been Male"
"Utah man sentenced to jail after fighting at Mormon church over saved seats." Salt Lake City has a law against carrying an unwrapped ukulele on the street. The Guinness Book of Records holds the record for being the book most often stolen from libraries.